One thing we all know about sleep is that most of us aren’t getting enough. Part of that is because we take our electronic devices with us to bed and play games all night. Part of it is our pillow, most of us run to the nearest big box store, fluff different pillows, become frustrated at what is available, and just buy whichever one is on sale. But knowing the different types and what they offer in terms of comfort and support can go a long way into helping you select a new pillow and get better sleep. The most common types of pillows are sold at your big box stores. These are your typical down, feather, allergen-friendly feather alternatives, and sometimes, memory foam pillows. 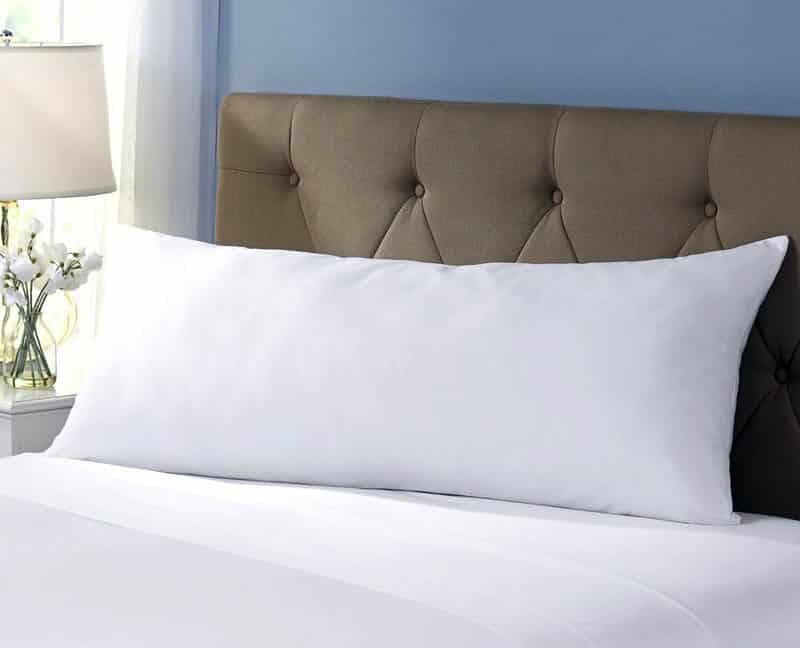 Here are the most common types of pillows to help you narrow down which one may be best for you. Down pillows are super squishy and soft, they are comfy, cozy, and luxurious. They are made from the undercoat of feathers so they don’t have that stabby quill that can pop out of the case and poke you in the neck. But they offer nothing in terms of support. You put your head on a down pillow and it squishes into a ball of luxurious nothing. If you don’t need neck or head support, grab a down pillow and dream on. If you like the softness of down, grab one to put on top of a more supportive pillow and get the best of both worlds. For those with allergies, there are alternative synthetics that mimic how down feels. Feather pillows are also made from feathers, but these feathers include the quill, which acts somewhat like a spring. 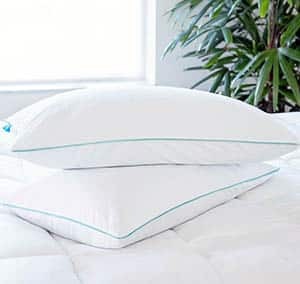 Feather pillows don’t squish as much as down but they still don’t offer great support so you might need a firmer pillow underneath. Feather pillows can also be a bit messy, the feathers can pop out from cases with loosely woven fibers, so chose a case with a tight weave and high thread count so you don’t wake up with feathers in your hair. Like down, there are synthetic allergy-friendly alternatives. 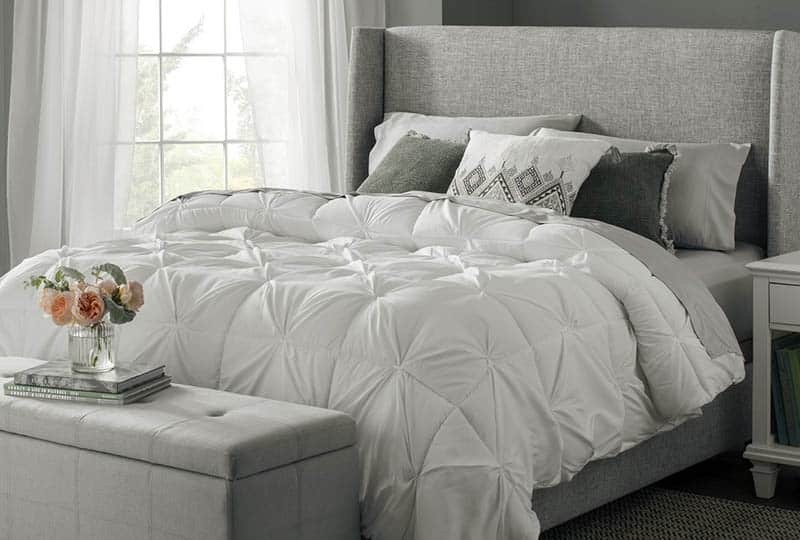 Memory foam mattresses have gotten quilt popular in the last decade so it makes sense that memory foam pillows are following suite. Memory foam gets more malleable with body heat, so it conforms around your curves and adjusts to support your shape. Memory foam pillows can be soft or firm, depending on the density and type of foam used. Some of the more expensive memory foam pillows have a gel layer, giving them a cooling effect, which is fantastic in warmer weather. 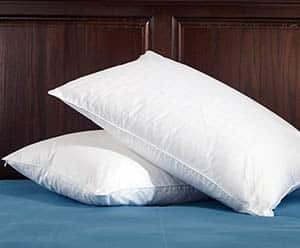 These pillows will bounce back into their regular shape, meaning you won’t have a permanent head-shape breaking down your pillow night after night. These pillows come in a wild variety of shapes and sizes, from neck rolls to more specialized pillows for side-sleepers and those with sleep apnea, so you can find exactly what you need. These pillows are quite popular in Japan. Microbead pillows are filled with a type of polystyrene, think of a full-sized travel pillow or miniature bean-bag chair. Microbead pillows are quite hard and offer full support, depending on how tightly packed they are into the case. Microbead pillows come in every shape and design imaginable, you could rest your head on a slice of toast or a nestle in the tiny arms of a T-Rex. Buckwheat pillows are typically all natural, unbleached cotton casing filled with the husks and seeds of buckwheat. They are hard and offer unyielding support. 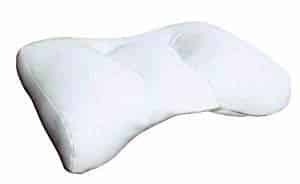 Below are a variety of specialty pillows which are helpful for those suffering from different health concerns including back pain, pregnancy and leg pain to name a few. Body pillows are often about 5 feet long, allowing you to nestle them under your head, hug them, and wrap your legs around them, giving you full spinal support from head to toe. Pregnancy body pillows take that support a step further, offering extra support for your belly. Some pregnancy pillows are u-shaped and allow for back and front support for side-sleepers and comfortable spine alignment. Back pain, especially in the lower back, can benefit greatly from a correctly-placed pillow. 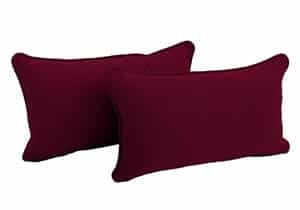 Lumbar pillows are made specifically to fit in the lumbar area, providing the correct support to allow your back to relax and make it easier for you to sit or sleep. Lumbar pillows can also be effective for helping with pain associated herniated or ruptured discs, sciatica, strainsm, sprains or traumatic back injury. Wedge pillows are a powerhouse of versatility, helping those with acid reflux, leg pain, and pregnancy pains. 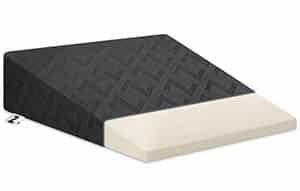 Wedge pillows are usually made with foam or fiberfill and will support your upper body or lower body, depending on your needs. You can also place a wedge pillow under your belly for extra support during pregnancy. Wedge pillows may also be effective for helping reduce the symptoms of acid reflux, heartburn and sinus pressure. Be picky when choosing a pillow, a good day means getting good sleep and a pillow is just as important as the mattress when it comes to having sweet dreams. For more ideas about getting a good night’s sleep check out our article about the the most popular types of beds.